With an explosive first half of the season, state ranked LaPorte volleyball is looking to end the season on a high note. The Slicers have started off this season with a 17-1 overall record (8-0 in the DAC), and are currently ranked 5th in the state. 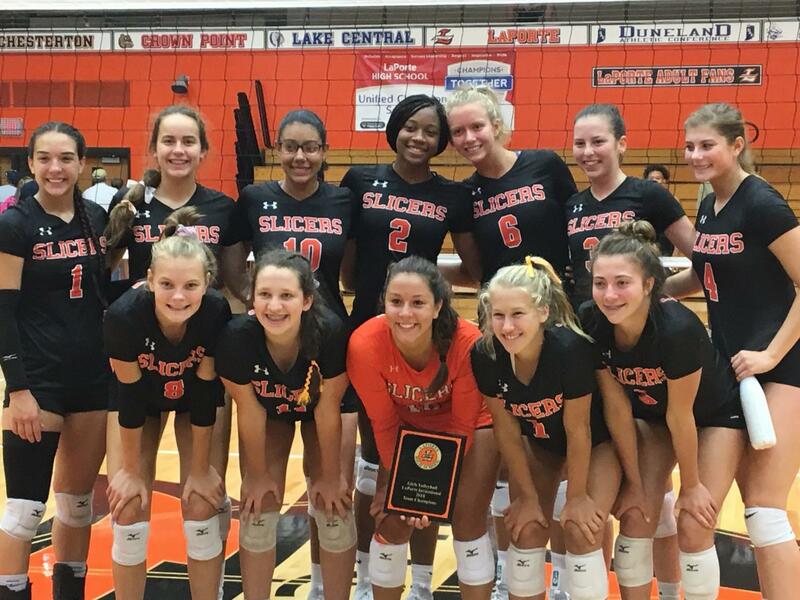 The Slicers have also beaten the two-time state finalist Crown Point Bulldogs. The team has been working well together, partially leading to their success. “I think we have been playing so well because we all get along well, and there is a lot of talent on the team,” senior middle blocker Kara Cooper said. The Slicers have been trying to mainly focus on the positives of their play rather than the negative. “I have tried to not be as intense as I have been in the past. I still get on the team if I need to, but I really just want to focus on the positives,” varsity volleyball coach Cassie Holmquest said. Along with their team chemistry, the team’s talent shows and is also a leading cause to their success. Cooper has signed to play with Valparaiso University, and senior outside header Reilly Briggs has signed at Northern Kentucky University. Gillian Santana, senior, is still weighing her options. The team’s success not only show’s in the win column, but their individual statistics as well. Earlier this season, Cooper set a new all-time record in blocks, beating her own coaches record of 270 career solo blocks. Many of the players on the team are leading or near the top of the DAC conference in various statistical groups, including sophomore setter Paige Conklin. “I really don’t like to focus on one person, but Paige has been a difference maker for us at setter. I think she is one of the best setter’s in the state, and she is only a sophomore,” Holmquest said. With all of this success, the team is striving to go as far as they can in the state’s class 4A tournament. “We didn’t get past Sectionals last year, so a goal for us is to win that this year and get to win Semi-State, and hopefully State,” Holmquest said. The team’s next game is against Crown Point on Tuesday, September 18th in LaPorte.